How do I keep my number? A contract upgrade is the term used when you keep your mobile number and stay with your existing network. 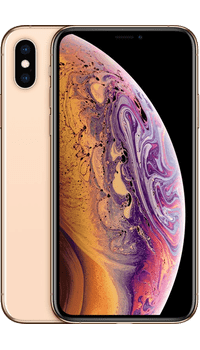 Then, you can head back to our website to compare the cheapest iPhone XS 64GB Gold upgrade deals on your network from all of the retailers. This is why most people keep their number and switch networks every time their contract finishes (just like car insurance, broadband, gas etc) to take advantage of the cheapest new customer deals. Just like you switch your TV service, broadband, electricity & gas supplier etc, you can simply keep and switch your mobile number to another network to make maximum savings. Choose from the best contract offers for your new Apple iPhone XS 64GB Gold on a different network and save a bundle! 1) Order your new phone on a different network and after next day delivery make sure you are happy with it. 3) Give your PAC code to your new network who’ll transfer your number across to your new phone for you within 24 hours. On the day of your ‘port’, your mobile number will transfer at around 11am and usually takes around 15 minutes (it can take up to 2 hours). Once your mobile number has transferred across to your new phone and SIM card, your old contract will automatically be cancelled. 🔁 ‘Double PORT’ – I’m Back! It’s a bit fiddly, but some people do this if their network is the only one that works in their area and they do not want to pay the higher upgrade prices offered to existing customers. Bag ‘new customer’ deals on your existing network! Why are the deals so cheap? We get asked this A LOT! If you’ve always purchased your pay monthly phone direct from a network like EE, Vodafone, O2 etc. then these prices may seem surprisingly low! Although we have all deals offered directly by the networks in our database, we only show you the cheapest UK price for each pay monthly plan. This means that unless the phone is only available direct from the network, the deals offered directly by the networks rarely show in our results. The retailers work to far smaller profit margins than the networks, buy the phones in bulk, unlocked and without any extra branding, like logos. You are simply opting to buy and connect your new phone far cheaper than directly from a network. You could compare it to having a BT landline, you probably don’t buy your home phone directly from a BT Shop, you’re more likely to buy one from maybe Argos or Amazon, but you still use BT’s service. Some of the retailers we feature you may have heard of like Carphone Warehouse, whilst other ‘online only’ suppliers you may not have. All have been trading for many years, offer secure online ordering, have good customer reviews and are tried and tested by us. Are the phones brand new? The majority of the deals are for brand new phones, however we also help you compare even cheaper offers for refurbished handsets. If a deal includes a refurb phone then you’ll see ‘Refurbished Handset‘ in purple text next to the offer. If your chosen deal doesn’t state this then it is for a brand new phone. All new phones are supplied with a full UK manufacturers warranty should anything go wrong with your handset. The manufacturers have hundreds of service centres up and down the country. The retailers usually offer their same protection for refurbished phones which covers free repairs and technical issues for 12 months. Refurbished handsets are phones that have simply been returned with 14 days and then offered for resale at vastly reduced prices. Accessories such as earphones are not always included for hygiene reasons and phones are sent in unbranded packaging. You may find that some contract deals come with cashback as an incentive and to hold against your monthly cost. Some retailers show a discounted cost for your monthly payments when you click through to their website, we always show you exactly what you’ll pay (inclusive of VAT) before any cashback is claimed. Automatic cashback is paid directly into your bank account or via a cheque from the retailer after a set period of connection. You’ll find full details of any cashback when you click through to the retailers website to place your order. Redeemable cashback is great for those that are organised. It is usually a higher amount than ‘automatic’ but has to be claimed at different intervals throughout your contract period. All of the retailers we feature have their own terms and conditions for claiming your cashback. Typically it will be split equally into 5 or 6 payments and you’ll need to send a copy of your monthly bill within a set window to claim each amount. The retailer will send you full details of how to claim with your new phone. The majority of retailers offer next working day delivery with a cut off at 6pm, although some go right through until 8pm. You can find your exact delivery date when you place your order and in a confirmation email from the retailer shortly afterwards. If you change your mind and wish to return your phone, you can inform the retailer within 14 calendar days. Are there any Credit Checks? Regardless of where you order a contract phone deal, after the retailer has performed their own security checks they will always have to pass your details across to your chosen network provider for a credit check. It’s always the networks that make the final decision to accept or decline an application for a pay monthly phone, based on things like your credit score. If you’ve applied and been declined for a contract phone within the past 6 months and apply again to the same network, you’ll likely be declined again unless your credit score has improved. It’s also worth knowing that if you are declined it could effect your score. Got a great deal through this site, much better than what o2 were offering a loyal customer of 15yrs especially with a shiny new s9 to boot. Andrew was especially helpful with regards to porting my number and I don't think I'd have succeded if it wasntbfor his help. Will definitely recommend to friends and family. . . . .
Our price comparison service is free to use, we fund our service by being compensated by our retail partners for successful purchases. Data for our comparison service is supplied by our retail partners and updated regularly, please always check the deal information on the retailers website before placing your order. The UK networks (excluding iD Mobile, Tesco Mobile, SKY Mobile & GiffGaff) will adjust your monthly payments once per year (up or down) in line with the Retail Price Index (RPI)/Consumer Prices Index (CPI) rates published by the Office for National Statistics.